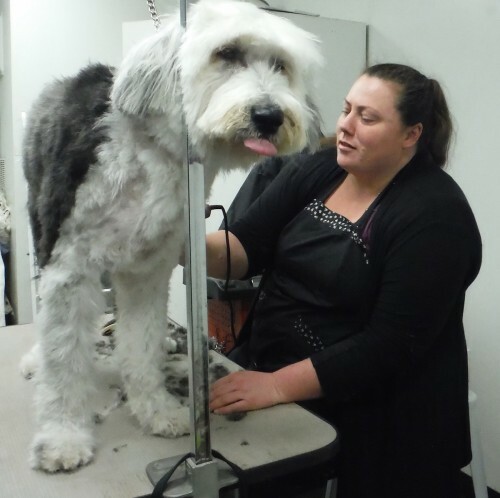 Two Rock Dog Ranch has two dog grooming salons: One is onsite in Petaluma and the other is in Cotati. Salon services can be requested when you make your dog’s boarding reservation. Removal of all shedding hair! Owner Sue Harris is an expert groomer with 30+ years experience, and we have a team of meticulous groomers ready to pamper your pooch. Basic Baths are available seven days a week at Two Rock Dog Ranch. Full Grooms are available at the Ranch Saturday and Sunday. If your dog is getting a Full Groom during the week, we will shuttle your dog at no charge to and from Cotati Dog Grooming.